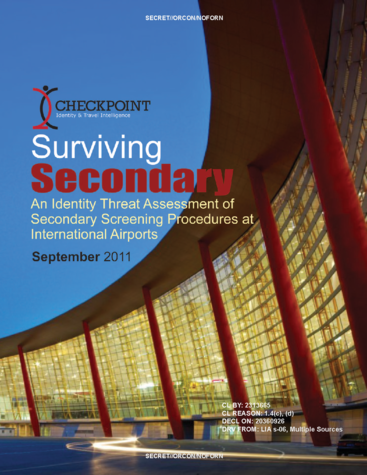 Worried you'll be singled out for the hassle and humiliation of a secondary screening at the airport when traveling to another country? Wikileaks has published a leaked document from the CIA that explains what makes agents give travelers a hard time — and how you can prevent it. Don't bring too many new items in your luggage (sorry, Christmas gifts); don't be nervous and visibly sweating; don't change your itinerary within a day of your flight; don't be weird about passport screening procedures; and make sure your luggage isn't disproportionate to your purported reasons for your trip, which could mean how it's packed or how fancy the stuff on the inside is. Also, depending on the country where you're traveling, your accent may also trigger a secondary search.